Yesterday was the official day of Thanksgiving in the United States. It’s one of those few days each year many of us slow down just long enough to acknowledge how much we have to be thankful for. We would be foolish to think everything good we have in our lives is our own doing. We are the recipients of much, and it is humbling to remember. The same is true specifically in the audio world. Most of us are students of someone. We learn from others, constantly. Perhaps that’s why you are here, at this website. You want to glean knowledge and wisdom (I hope I offer some to you!) Personally there are many people whom I have learned so much from, people I respect and appreciate. And today I want to take a moment to give a shout out to five specific audio people that I am thankful for. Check them out for yourself when you get some free time. These guys are amazing. Kevin is one of the greatest mix engineers you’ve never heard of. He’s won Dove awards, worked with tons of artists in the Nashville area and beyond, and he just knows his stuff. On top of that, he has a heart for teaching and breaks things down on such a easy to understand level, even I can learn from the guy! Every time I’m on his site, I learn a new “trick” or technique that I adopt as my own and use forever, he’s that good. Fab is funny, talented, and smart. Oh, and he’s got a ridiculous French accent. As a top level engineer working with artists such as Jennifer Lopez, Queen Latifah, and Shakira this guy is always slammed with work. But he still somehow finds time to put together some of the most professional and helpful recording and mixing tutorials anywhere. Fab gets music and he doesn’t take things too seriously. You’ll learn a lot from this guy, trust me. One of the absolute coolest audio sites around is Pensado’s Place. Grammy award winning mixer Dave Pensado hosts a weekly video interview with the industry’s top names. These interviews are hilarious and brimming with nuggets of audio wisdom just waiting to be sifted. Dave is actually the only person on this list I have never actually met in person, but you feel like he’s an old friend because of his rare mix (in the audio world) of self-deprecating humor and humility. This guy is a huge blessing to the audio community. If you are a Pro Tools user, then you have to hangout at Pro Tools Expert. Russ Hughes and his team of Pro Tools fanatics have a site packed full of not just tutorials and tips but news, reviews, and rumors. Pro Tools Expert is the only place I go for the latest in Pro Tools news. That’s how much I trust it. Avid seems to get information to Russ sooner than anyone else and it’s always accurate and reliable. Just awesome stuff there. No list of mine would be complete without mentioning my evil doppleganger, Joe Gilder. No seriously folks, he’s a great guy. One of the best. We share such a similar philosophy of recording, mixing, and life that it’s eerie. His site and daily email tips are so spot on and constantly encourage me to stay focused on what matters in the studio. Since we’re so like minded I’ve teamed up with him on three projects: an audio podcast, in person recording workshops, and the best monthly mix training site around. He’s a great teacher and a great friend. There are so many teachers, mentors, and strangers who have taught me much about audio, recording, and the like in my life. I am forever grateful for your openness, patience, and willingness to share what you know. I try hard to pass everything I know on to anyone out there who could benefit from my experience. May we all continue to humbly listen, learn, and pass things on to the next generation. Happy Thanksgiving everyone! We’re all thankful for this Recording Revolution you brought to us Graham, I mean it. I have to really thank you for what I learned with your posts and videos. I also thanked you on my band cd booklet! Because you gave me so many advice and above all you gave me the chance to stay focused on the right things for my mixes, and I’m still improving my skills thanks to you. Thank you Graham! Thanks Santo. Grateful to have helped! I agree with Santo. If I’m able now to make my music or my band sound better is for all the knowledge shared with the world. And most of all, a mindset that I think it’s great. Or at lest, it fits perfectly with me. So, I’m thankful to Recording Revolution to be here! Thank you Graham, my craft is better than ever because of your lessons! Keep it up! Thank to you Graham, you’re great as a teacher!!! God Bless You! Thank you for your site : you basically taught me almost everything I know about recording and mixing, and I thank you again for teaching us such a good mindset/philosophy, and teaching in such a simple and inspiring way. I can’t agree more with Vincent. Am thankful for you, your skills, wisdom, practicality and teachings. Without you I wouldn’t have gotten to the level I am in engineering. Thanks to you and Joe Gilder. Thank you Graham. Vincent said it all. You are sharing so much knowledege and inspiration. I don’t know what else to say but: thank you. You’re a good human being. I was exstatic when I heard Graham on Pro tool expert blog. You belong in the top 5 yourself, Graham! Thanks for all that you’ve done for the community of audio enthusiasts and musicians. Thanks everyone. Appreciate your kind words. You’re a blessing to all of us who are trying their best to make nice sounds. Between you, Mike Senior, and Dave Pensado’s online show, there is hope for me. If the day comes when people look to me for mixing guidance, I will happily spread the generousity you started here. I’ve learned a lot from your website, from your free videos and from your GREAT, AMAZING, REAL products: me and my band “Cugini d’Ungheria” are very grateful to you! Most important, with you (and Joe Gilder) I learned that it’s cool to own great gear, but you can achieve big results with stock plugins and frugal things… with a lot more satisfaction! I’ve also been a fan of Fab DuPont and Dave Pensado for years and have learned from other greats, some online and some in person, like Mick Guzauski, Andrew Scheps, Bil VornDick, Dave Darlington, Ian Shepherd, Manny Marroquin, and numerous others – I’m thankful for all the things I’ve learned from them. 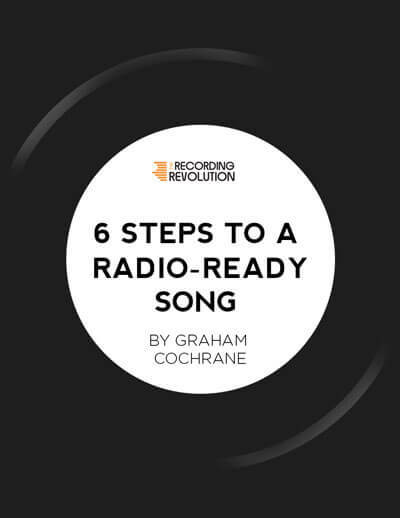 …but Graham, because of the type of instruction you present and the way you present it, I must say that I’ve learned more from you than any one other individual about audio engineering.